Pleven is situated in the middle part of the Danube Plain, 160 km from the capital – Sofia, 320 km from the Black Sea and 30 km south from the Danube river. One can reach the city by a first-class road Sofia – Varna (Е83). The cities population is about 135,000 people. Pleven falls in an area of temperate-continental climate with large temperature amplitudes from – 15 ° C during the winter to + 35 – 40 ° C during the summer. The history of the city and the region dates back to thousands of years ago. The earliest evidence about human presence in the region from the end of the 5th millennium BC. In the beginning of the new era these lands became part of the Roman Empire. The Roman road station of Storgozia situated by the present day’s location of Pleven, and later a fortress with the same name, were constructed on the road from the Roman town Ulpia Escus (nowadays its remains are situated by the village of Gigen) to Philipopolis (nowadays’ Plovdiv). During the Middle Ages the settlement was a strong fortress with well developed Bulgarian crafts and mostly trading with leather, wool, tobacco and cattle. The settlement of Slavs and Bulgarians in the 6th – 7th century led to changing the name of the locality – Pleven. Pleven became famous mostly for its active participation in the war between Russia and the Ottoman empire in 1877-1878. The town was under siege for five months, and the bloodiest battles between the two belligerent empires – Russia and Turkey took place here. On 10 December 1877 the victorious outcome of the war was established, the Russian army succeeded in defeating and capturing the army of Osman Pasha, and the day was announced an official holiday of Pleven. Some of the most interesting landmarks of the town are the Historical Museum, the Panorama “Pleven Epopee”, the Wine Museum in the Kaylaka Park and the ruins of Storgoziya Fortress. The historical museum is housed in an impressive two-storey building – a monument of culture built for military barracks in 1884 – 1888 based on a Italian project. The museum expositions occupies 24 halls with an area of 7,000 square meters in the building, as well as a park with an open exposition with an area of 37 dca. The Archaeology exposition includes exponents of Prehistory, the Roman Age and the Bulgarian Middle Ages. Among the most attractive of them are collections of flint labor tools from 50 – 45 thousands of years BC, an original residence of the 5 thousand years BC, a copy of the Valchitran Golden Treasure, etc. The exposition in Ethnography section presents the material and spiritual culture in Pleven and the nearby settlements – traditional lodgings, crafts, festal costumes and jewels of the 19th and the 20th century. The Revival section keeps valuable documents and articles from the Age of Bulgarian Revival, and the Contemporary History section traces the development of industry and culture in Pleven after the Liberation in 1878. The regional Historical Museum in Pleven also keeps an exposition dedicated to nature, which includes samples from the local nature, as well as a petrified thigh bone of Archidiscodon – a prehistoric animal from the group of elephant-like animals, which lived on our lands during the Pliocene Age before 3.5 – 4 million years. One of the most attractive museum halls is dedicated to the opera singer Gena Dimitrova (1941 – 2005), who was born in the Pleven village of Beglizh. Here one can see a lot of personal belongings of the opera queen, donated to the museum by her family, as well as originals and copies of her stage costumes, in which she had sung on global scenes. 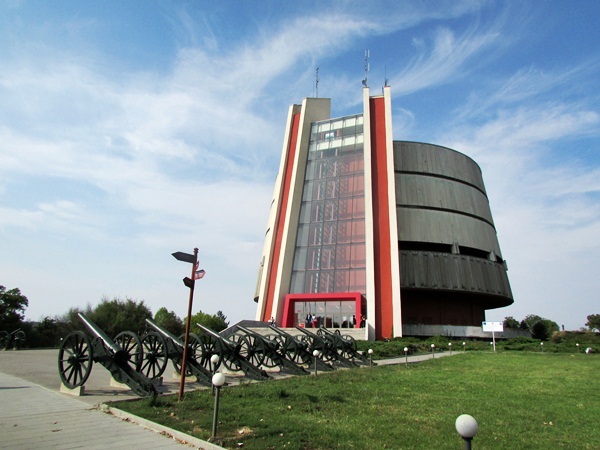 The Panorama “Pleven Epopee 1877” is the only monument of its kind on the Balkan Peninsula. It was built in 1977 in honor of the 100th anniversary of the liberation of Pleven from the Ottoman yoke. The monument was raised on the very battle ground, in the Skobelev park-museum in the south-west outskirts of the city. There is no analog of the Wine Museum in the country. Its uniqueness is based on the exposition and the services which it offers (degustation), as well as the fact that it is housed in a cave in the Kaylaka Park. The museum collection contains wines aged 30 to 90 years. 6 thousand bottles of contemporary wines from all makes and regions in the country are also a part of the collection. Among the other interesting landmarks in Pleven are the Revival Complex, which preserves old buildings with unique architecture, the chapel-mausoleum “St. George the Victorious”, which is one of the symbols of the city, the house-museum Tsar Osvoboditel, where in 1877 the Alexander II of Russia was welcomed. 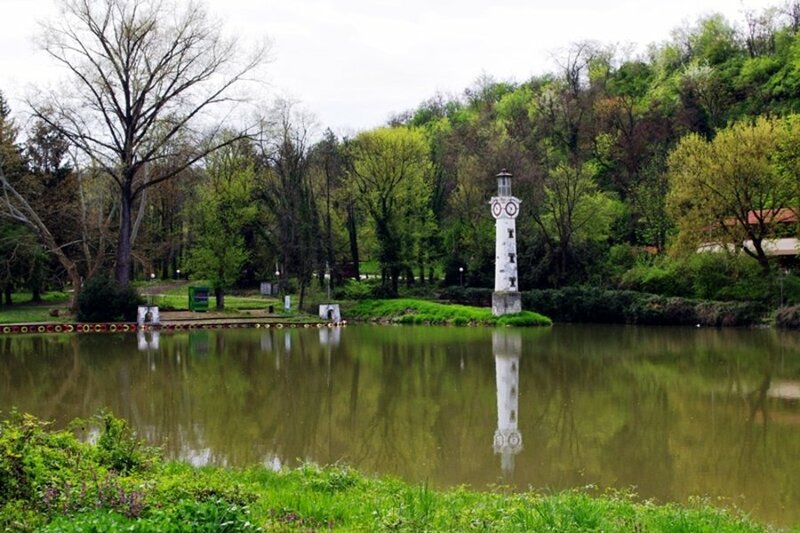 The Kaylaka Park is a favorite place for relaxation of the residents of Pleven and the cities guests. 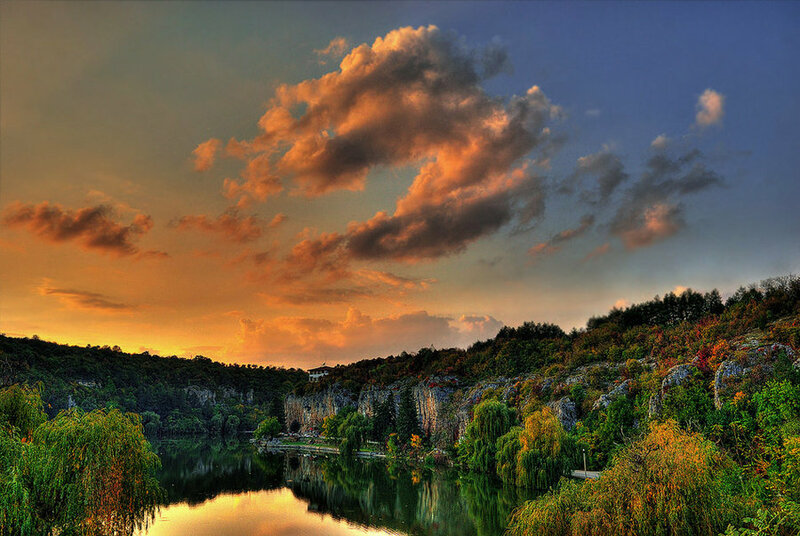 It is situated 6 km south of Pleven. The park offers diverse options for hikes, relaxation and entertainment. The vertical cliffs, more than 20 meters high, are suitable for practicing rock climbing. The locality has given shelter to rich and diverse flora and fauna. The ruins of the Roman road station of Storgoziya are also situated here. 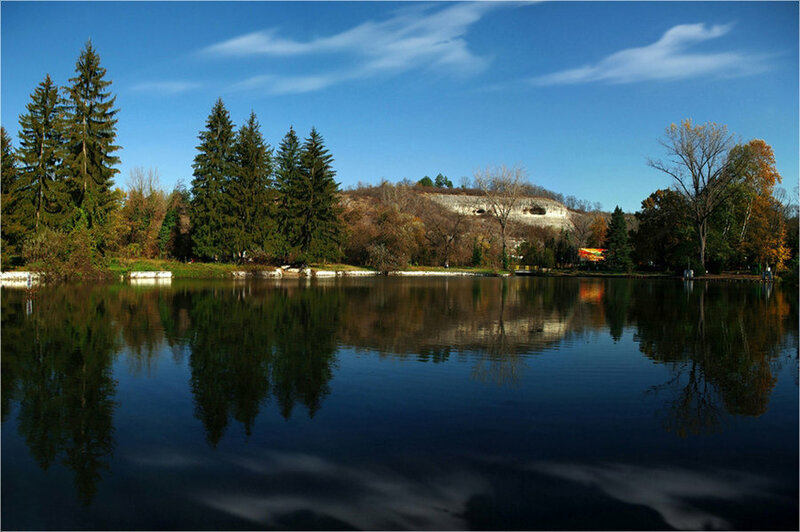 There are swimming pools, entertainment playground, tennis courts, a lake with boats and water wheels, places for relaxation and catering establishments. 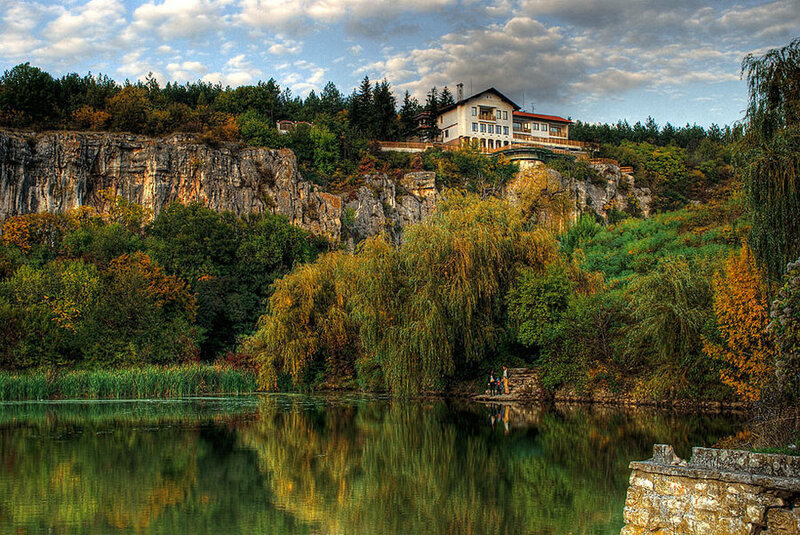 Those who love nature can visit the natural reservation “Chernelka”, situated at a distance of about 12 km from Pleven, between the villages of Kartozhabene and Gortalovo. Along a distance of 7 km, the Chernelka river has formed a beautiful canyon with 60 to 200 meters width and 10 to 30 meters height of the rock crown. An ecological path is made in the region. 18 bridges are placed and one can easily cross the river. There are a lot of hotels and guest houses which offer accommodation in the city. There are many restaurants that offer delicious Bulgarian cuisine.